Brooklyn-based artist KAWS straddles the line between fine art and popular culture in his large-scale sculptures and brightly colored paintings, thoughtfully playing with imagery associated with consumer products and global brands. ALONG THE WAY, KAWS’s colossal eighteen-foot-high wood sculpture, greets visitors in our Martha A. and Robert S. Rubin Pavilion and Lobby. Portraying a pair of gigantic figures with their heads lowered and with one arm around each other in a gentle embrace, the sculpture alludes to familiar childhood toys and cartoon characters while at the same time transforming their identities with a radical shift in scale, presenting them as monumental cultural presences. The exhibition also includes the paintings GLASS SMILE(2012) and SHOULD I BE ATTACKING (2013). 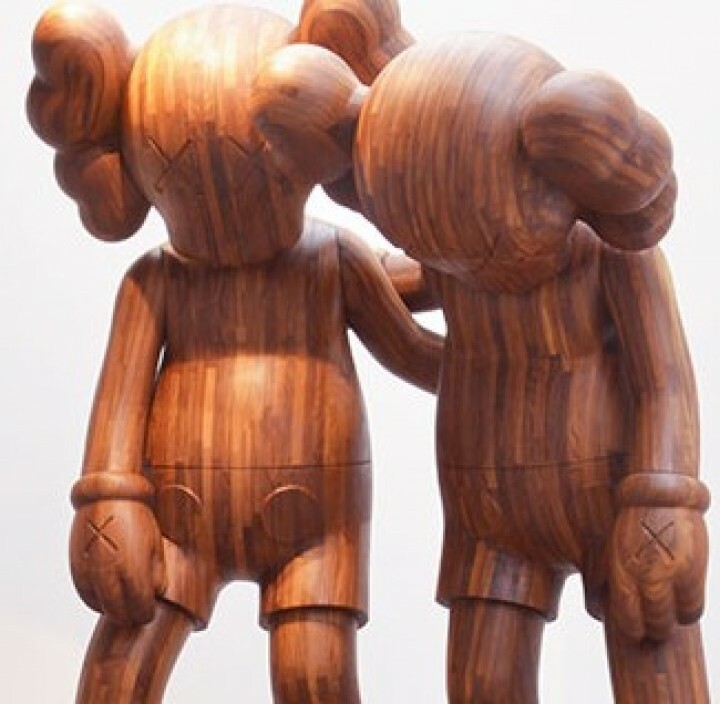 KAWS: “ALONG THE WAY“ is organized by Eugenie Tsai, John and Barbara Vogelstein Curator of Contemporary Art, Brooklyn Museum. This exhibition is made possible with the generous support of the Mary Boone Gallery.